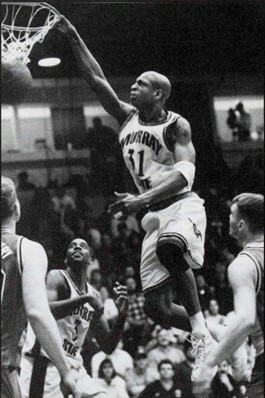 A 6-6 forward, Spencer played at Murray State from 1997- 2001. He was a four-time All-OVC selection. He is second on Murray State's career scoring list with 2,248 points. He is fourth in free throws made in a career, fifth in rebounds, and sixth in blocked shots. During the 2000-01 season, Spencer led the Racers in both points and assists, a feat that wasn't matched until Isaiah Canaan did it in 2011-12. �He wants to win more than anything, and it rubs off on his teammates,� Tevester Anderson said in an interview with Joey Fosko in 2001. �I don't know where we'd be without him. �He's our best goodwill ambassador and recruiter too. Going to the local schools and talking to the kids, he's the best I've ever seen at that.� Spencer helped lead the Racers to regular season and OVC tournament titles in 1998 and 1999.